Plus some general info from more experienced traders, any input is welcome as are questions. Honesty is not the best policy, it's the only policy. 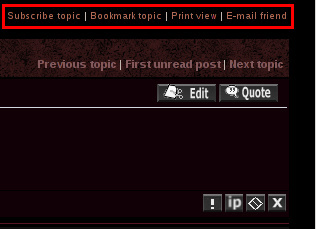 Then you will get an email if anyone posts in your thread with an offer or question, both options are at the bottom left of posts in this forum. There is an option in the UCP [user control panel] to hide your online status, if you have this enabled nobody will know when you were last here and may not think you're active [perhaps you're not...] if you don't update your threads, it might be a good idea to have this option set to NO if you want people to see you are in fact active here. this is a terrible idea, also people who buy from someone and sell it to another and provide their buyer's shipping info instead are to be avoided, some people do this and have success but it's a really bad idea, things can go very wrong very quickly. Putting a link to your trade thread is handy, how else will people find it, probably not useful if you never use the forum outside of the marketplace but it's something to consider, your signature is a sandwich board NOT a billboard [not too big or flashy please]. This is important, make it easy to find, offer it, don't make people look for it, especially important for new traders. This is not good formatting and looks hideous also it will break the forum because it thinks it's one word and won't truncate the text properly. If you have 10 different usernames all over the place it can get a bit confusing and can be off-putting to anyone wanting to deal with you. Selling to yourself is a bad idea as is selling stuff to a bunch of mates just to boost feedback, be aware that multiple accounts here at MA is against the rules, you will get banned. 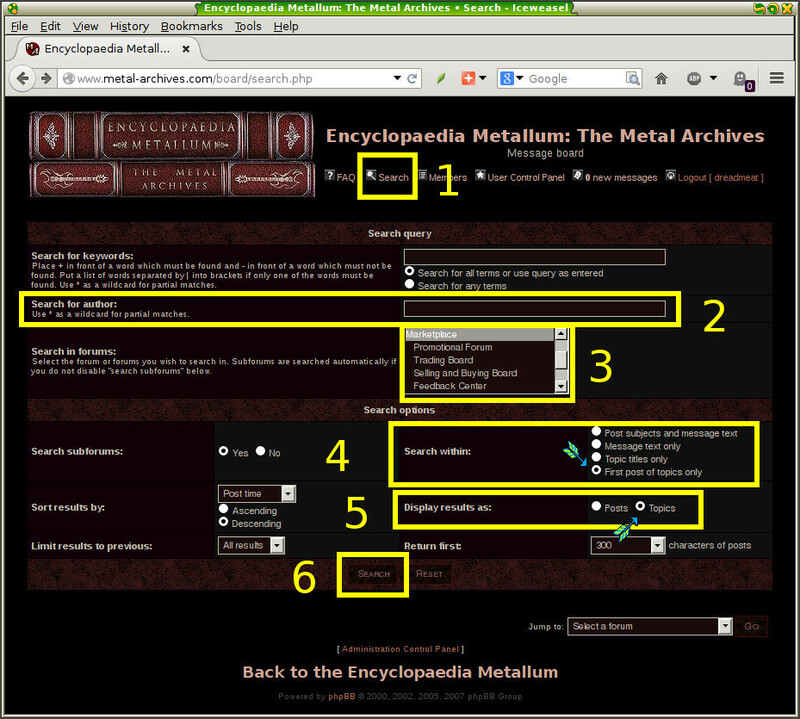 Search for sold items at Ebay, Discogs, heavymetalcd, GEMM, Amazon etc also searching the marketplace here can turn up info as can messaging the sellers, be aware though not everyone will divulge that info, be aware also of 'nostalgia inflation', this is where the seller values the item at a higher price because they have some story attached to it, maybe if the thing was autographed or has some super special attribute like coming directly from the band it would be worth it otherwise market rates apply really, what you are buying may only be for the autograph, this gets a bit tricky so common sense prevails, proving authenticity of autographs can be difficult too. Do your research before making an offer, some traders don't like to put prices out in the open and just want your best offer, haggling can be a fickle process so trial and error and give and take is what is needed usually, make a counter offer if you want more, ignoring it or just saying "no" is pointless, try explaining why. Also when you say "no response means no deal" looks really bad and is frustrating for the buyer. Bitcoin ezi-pay swap-a-donkey Western Union type websites are to be avoided. Is what you have on offer what you think it is, check things against Discogs, Musik Sammler, Rate Your Music etc refunding things because the buyer didn't get what you said it was isn't much fun, different pressings/versions, reissues, bootlegs need to be correctly and accurately identified, flicking off a repress as an original first press will get your hand slapped so think twice or research first before claiming such things, familiarise yourself with IFPI SID codes, matrix info, licensing info and distribution companies and manufacturers, these seemingly insignificant details are quite important to some people, if you don't know or don't care to know just be honest and say "I don't know what version this is" or similar. take photos of the goods, hand write your username on the front of the most recent local newspaper you have, it's virtually impossible to fake this or even better get the buyer to tell you in a PM or email a word to use, taking a photo at the parcel at the post office is also good. Try to be a nice person if you can, maybe you are busy or have a dozen deals going down, but it only takes a few extra seconds to say "hi" and "thanks"
Saying things like "no response = no interest" is pointless, how is someone to know if you even got the message, reply with something like "Hi, I had a look at your list but see nothing of interest, sorry" or if you're responding to an offer that you're declining a similarly worded response would be appropriate. Last edited by dreadmeat on Sat Oct 31, 2015 9:37 am, edited 12 times in total. Forum for trading (and only trading!) music-related wares with other metalheads. Forum for selling and buying music-related wares from other metalheads. Updated the first post, some of you could really do with reading this, it took me ages to write up and I do know what I'm talking about. I could probably write an entire 'best practises' trading guide but common sense should prevail. Just a 'reminder' I suppose, any trades happening now so close to Xmas may require a bit of extra thought. Things get lost, take ages to turn up, get returned etc add to that a very busy trader or use of surface mail and you get where I'm going with this.